Having trouble with condensation? At UK Electrical Supplies we stock a wide range of Extractor Fans that will suit your personal needs. 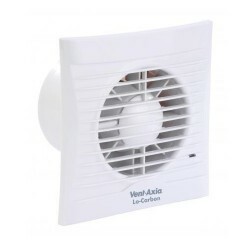 With Auto Shutter Fans, Humidistat Timers, and Fan Ducting, to mention just some of our essential products, we are confident that you will find the perfect solution to suit your needs. Vent-Axia and Silavent are two well known and trusted brands in the industry, we can promise peace of mind and quality products and services for your Extractor Fan needs.